Building housing in factories makes sense. However, most schemes are still delivered through traditional construction methods because it’s the norm. At Ayre Chamberlain Gaunt we’re working on a number of exciting housing products. 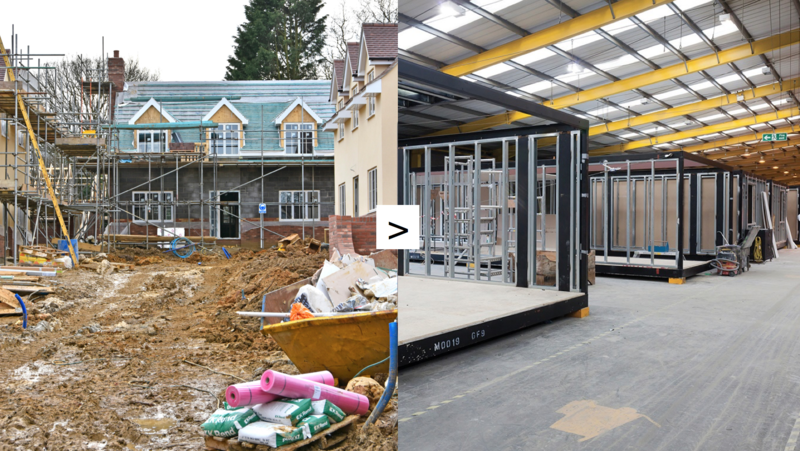 We’ve established a new manufacturing facility with one of our clients, and modules for their developments are currently being prototyped before being assembled on site early next year. Without a volumetric partner it’s been a learning curve. We’ve had to think innovatively about the way we practice and the tools we use, as well as how we collaborate. 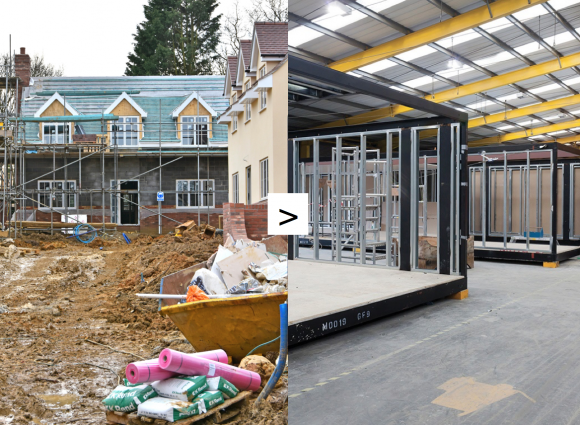 We’ve explored and adapted the relationship between site, factory, consultant team and other specialists in order to realise the benefits of volumetric construction. Andy Matthews, a Senior Architect at Ayre Chamberlain Gaunt, presented the practice’s ideas, projects and initiatives at a recent PechaKucha event hosted by NLA on 4 December.